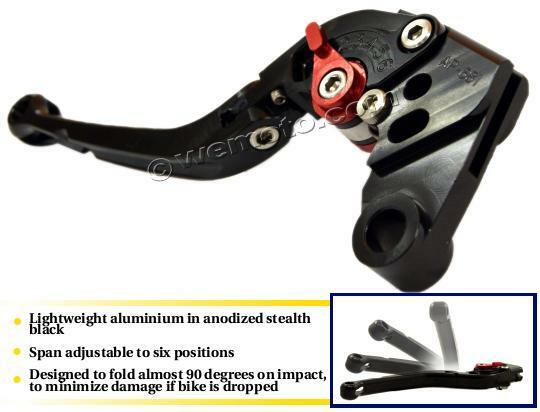 The picture below shows a Adjustable Racing Clutch Lever. Thousands of other top quality spares listed on our website at refreshingly low prices. *6 Quick adjustment settings improve functionality and performance of the bike. *Avoids breakage with an articulated joint that allows the lever to bend in case of a fall. less drag at high speed than a standard lever and have been designed with the latest of technology.